“One of the biggest responsibilities that I think that needs to be had, or taken on, by the people in these communities are holding their representatives accountable.” Violence. Gangs. Drug. Fear. These are the real issues affecting real people in Chicago. A city run by politicians who promise hope, but put people into lives of hopelessness, all while they blame guns and the NRA for their woes. 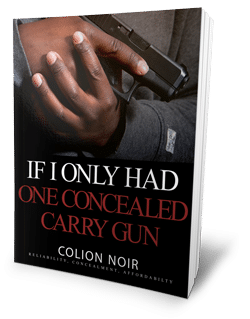 But as Colion Noir will show you, there are people—outside of the corrupt politics of city hall—fighting to make a difference in Chicago. Among them are Brooks and Pastor Grooms of New Beginnings Church of Chicago. Noir speaks with them to find out more about the Chicago the media will never show you—the Chicago that looks hopeless, but also the Chicago where good people are fighting for true hope. This is about solutions—about changing a cycle. About bringing about the hope they fail to deliver.